Warner Bros. officially confirmed that the Wonder Woman sequel is happening during their Saturday Hall H panel at Comic-Con last week, and now we know when it will hit theaters. The studio has officially handed out a December 13, 2019 release date for the superhero sequel, which will bring back Gal Gadot as Diana Prince, perhaps better known to the world as Wonder Woman. While thought to be officially confirmed earlier this month, it seems that director Patty Jenkins' deal to direct the sequel has not entirely been finalized yet. The Hollywood Reporter reveals that negotiations for Patty Jenkins to return at the helm are ongoing, and that the filmmaker has not been officially announced as the sequel's director quite yet. The filmmaker did only sign a one-picture deal for Wonder Woman, and she revealed during a Q&A earlier this month that she originally thought she wouldn't come back, since she didn't think it should be a "foregone conclusion" that she make the sequel. However, the director also revealed that she had an "epiphany" that she should make Wonder Woman 2, and that it has to be great. There was also a report last month that the director was seeking a significant pay raise to come back for the continuation of the Wonder Woman standalone saga. As of now, Wonder Woman has earned $389.7 million domestic and $390.6 million from international markets for a worldwide tally of $780.3 million, from a $149 million budget. Last weekend's box office take pushed Wonder Woman past Marvel's Guardians of the Galaxy Vol. 2 to become the second-highest grossing movie this year, although it still has a long way to go to catch Beauty and the Beast, which has taken in $504 million domestically. Oddly enough, there was a rumor that Warner Bros. would announce this release date at their Comic-Con panel last weekend, and while they did use the Hall H panel to confirm the sequel is happening, the release date wasn't announced until today. As for the date itself, nothing else has been slated for release, although there are some high profile projects within striking distance of this superhero sequel. Disney has set Frozen 2 for release on November 27, 2019, while an untitled "Fox/Marvel film" has been set for November 22, 2019. The only other movies set for December 2019 so far are Masters of the Universe on December 18, an untitled Disney live-action fairy tale project on December 20, Universal's Wicked on December 20 and an untitled Sony Pictures Animation franchise movie on December 25. 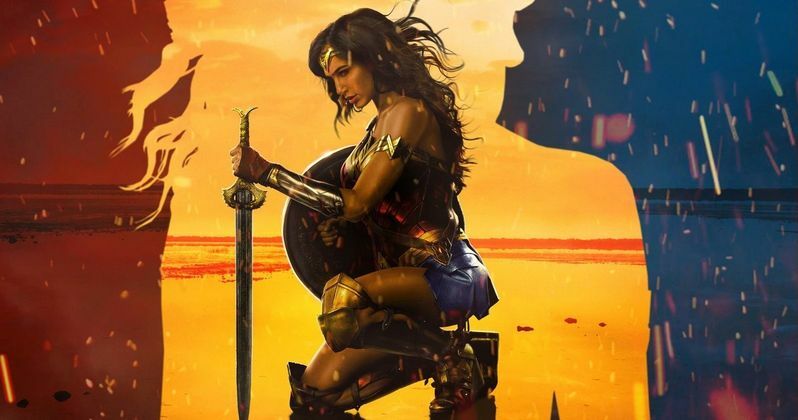 Director Patty Jenkins revealed last month that Wonder Woman 2 is set in America, as opposed to the original movie, which went between Themyscira and the U.K. during World War I. While the sequel was believed to be set in present day, another report claimed that the sequel will be set in the 1980s, which would allow Chris Pine to return as a presumably aging Steve Trevor, with the story following Wonder Woman as she does battle with the crumbling Soviet Union in the closing days of the Cold War. Hopefully we'll find out more about Wonder Woman 2 in the very near future.